Clive Barker has been tasked by Bob Weinstein and Dimension Films to write the script to the Hellraiser remake. 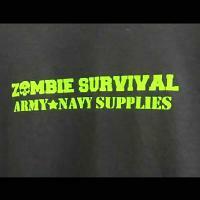 Zombie Survival store in Orlando, Florida, sells zombie-related merchandise. Information on Halloween Horror Nights 2013 in Orlando, Florida, featuring The Walking Dead, Resident Evil, Evil Dead, Cabin in the Woods, and more. A look at the South Korean monster movie “The Host” from 2006, aka “Gwoemul.” Directed by Joon-ho Bong. Anchor Bay double feature DVD featuring The Pit (1981, psycho kid with pit of monsters) and Hellgate (1990, Ron Palillo vs Undead Ghost Town). Universal Studios Japan unveils a new attraction called Resident Evil: The Real (aka Biohazard: The Real). V/H/S movie review – found footage horror anthology with directors Adam Wingard, David Bruckner, Ti West, Glenn McQuaid, Joe Swanberg, Radio Silence. A look at H.P. Lovecraft stories: At the Mountains of Madness, The Shunned House, Dreams in the Witch House, The Statement of Randolph Carter.